This paper presents long-run economic projections for 46 countries, extending the short-run projections of the Spring 2018 OECD Economic Outlook. It first sets out a baseline scenario under the assumption that countries do not carry out institutional and policy reforms. 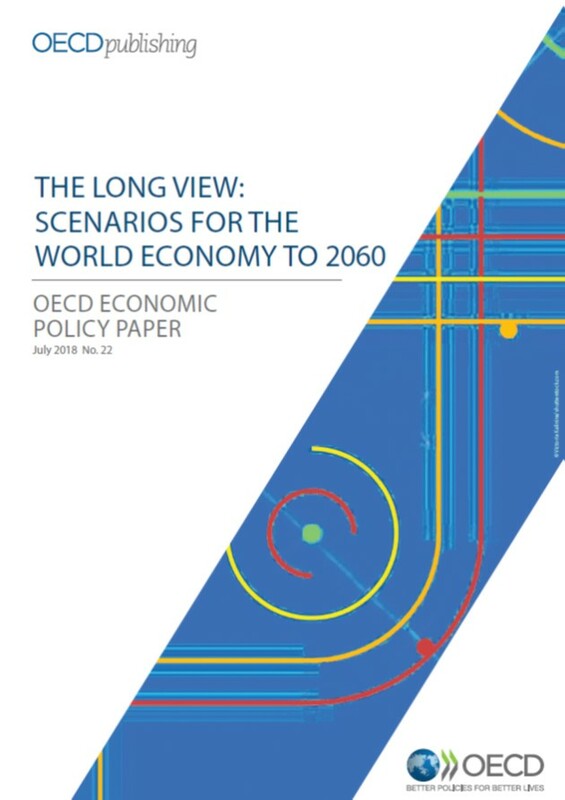 This scenario is then used as a reference point to illustrate the potential impact of structural reforms in alternative scenarios, including better governance and educational attainment in the large emerging-market economies and competition-friendly product market and labour market reforms in OECD economies. Flexibility-enhancing labour market reforms not only boost living standards but, by raising the employment rate, also help alleviate fiscal pressures associated with population ageing. Another scenario illustrates the potential positive impact of linking the pensionable age to life expectancy on the participation rate of older workers, and in particular that of women. Additional scenarios illustrate the potential economic gains from raising public investment and spending more on research and development. A final ‘negative’ scenario shows how slipping back on trade liberalisation – returning to 1990 average tariff rates – might depress standards of living everywhere. This study starts with two essays laying the groundwork for the very idea of futures studies and future scenario forecasting. The first, by renowned futurist from the University of Hawaii, Professor James Allen Dator, introduces the discipline. In the second, respected futurist and business strategist Peter Schwartz describes the scenario planning context, process and application for business and policymakers. This study aims to foster a dialogue about the future of logistics by describing a number of different scenarios, or pictures of the world, in 2050.